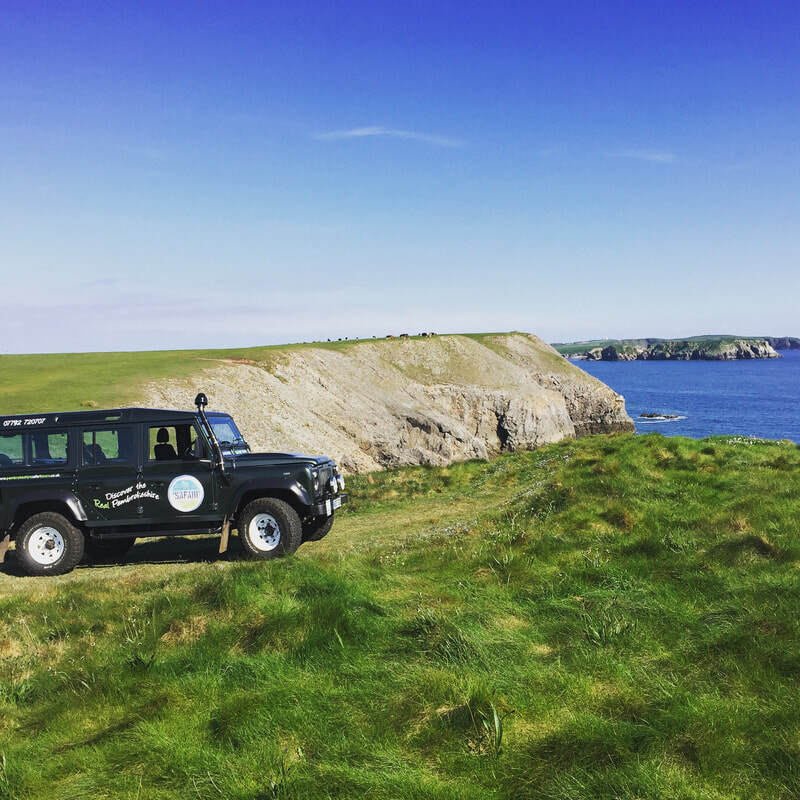 It’s no secret that the Pembrokeshire Coast National Park is rich with some of the most stunning scenery the British Isles has on offer and our tours have been carefully crafted to provide you with the perfect means of seeing it. 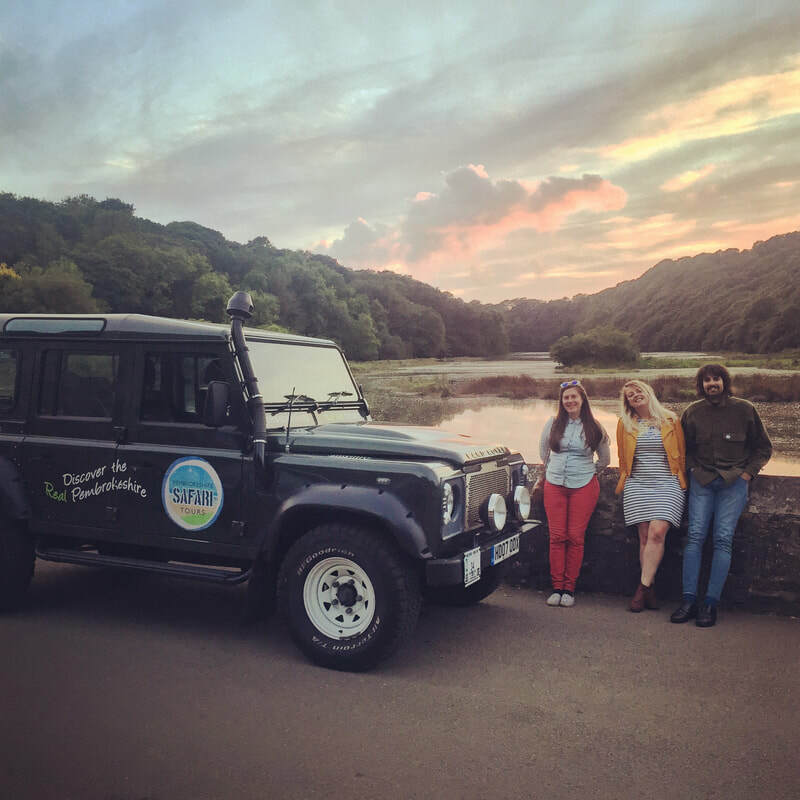 With our pick-up and drop-off service this is a must for anyone wanting to make the most of their time in Pembrokeshire and whatever you do, don’t forget your camera! 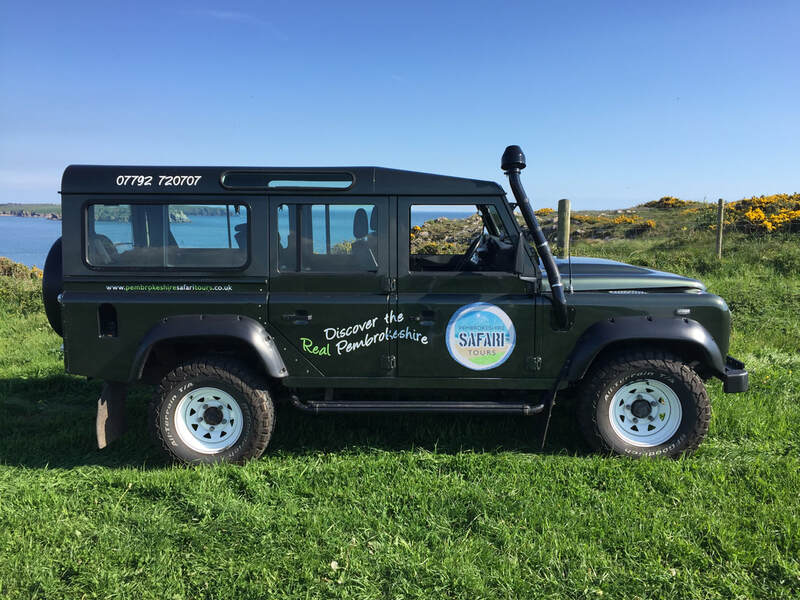 Expect to see world class beaches, magnificent coastal views, wildlife, local produce, heritage and sights of interest all in a comfortable five hours in our Land Rover Defender. We use the legendary Land Rover Defender 110 equipped with six forward facing seats for added comfort and viewing height. The vehicle holds a full Private Hire License from Pembrokeshire County Council and is checked regularly by them to ensure it is in full working order and meets all health and safety requirements.